You’d better prepare yourselves because it’s about to get groovy in here! 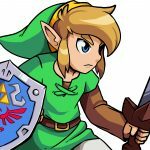 If you found us through iTunes, Google Play, or some other podcatcher, then I encourage you to check out our website, zeldauniverse.net; we publish Legend of Zelda and Nintendo related news, exclusive editorial content and features, game guides, and more. You can also subscribe to ZeldaUniverseTV on YouTube and Twitch or join our large, welcoming forum community! Hot on the heels of the surprise announcement of Cadence of Hyrule, a Zelda spinoff and crossover with my personal favorite rhythm game, Crypt of the NecroDancer, we’ve got a new episode of the ZUCast for you, less than a month after the last one! 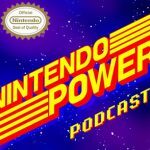 This episode has it all: jokes, music, news, travel audio-brochures (for Hyrule), and yes, one Cody Davies! Once you’re all tired out from all that dancing, take a breather and let us know what you thought of what you heard here! You can leave us feedback directly at podcast@zeldauniverse.net, in our thread on the ZU Forums, or on our Facebook or Twitter, @ZeldaUniverse.